EveryCircuit received three stars. Find out more about this app and others below. New biotech apps are busting out all over. Find out which ones will aid you in your research the most. Is there an app for that? If there is, you should check if it's in GEN's Best Science Apps first! Every month, we bring you a list of the best biotech- and biopharma-related apps we think you, GEN reader, would find useful and/or interesting. Here is our most recent list of Best Science Apps. Enjoy! 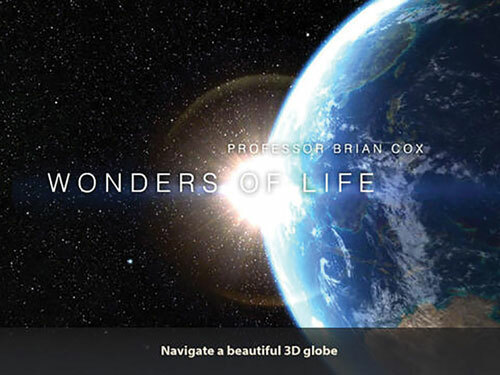 A stunning example of an immersive tablet (or phone) experience, the Brian Cox’s Wonders of Life app really does make the world seem wondrous through its many videos, animations, and interactive images. Users explore the globe as they navigate the app, zooming into countries, then landscapes, then animals, all the way down to a microscopic scale. The app presents users with a number of interactive scenes in which specific features (such as a chameleon hiding behind a bush) are highlighted and available for users to click to reveal more information. The videos are accompanied by substantial text descriptions, which lend yet another layer of information to this educational app. At almost $5 it is somewhat expensive, but given the amount of content and the thrill of exploration that one feels while navigating the app, I doubt many people will feel short-changed. In today’s funding climate for scientific research, it is more important than ever for laboratories to stretch each dollar. Enter ChemSource, a convenient app (and website) from P212121 that serves a dual purpose of saving researchers money and time. 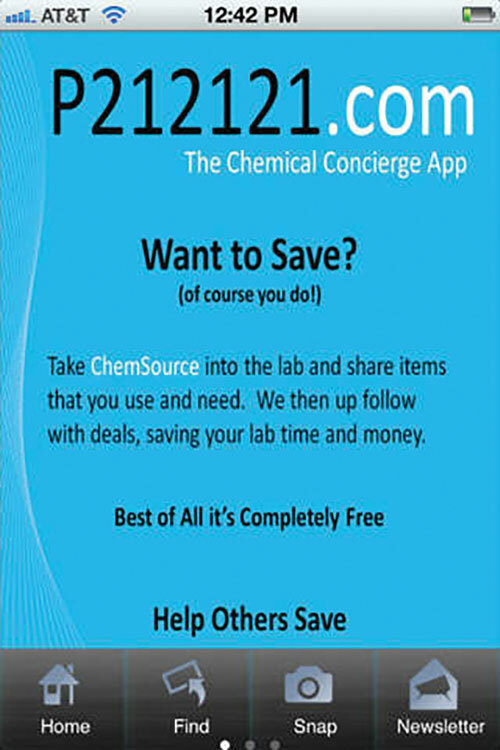 A self-described “chemical concierge app,” the app sends users’ product requests (which are submitted via the app’s request form or photo) to employees of P212121, who promptly respond with a quote for the cheapest available item meeting the user’s specifications. The app promises that users will receive a response within 24 hours of submitting their request, but I found the response time to be even more impressive—mere minutes. The app is very easy to use, and I’m sure many researchers out there will appreciate having the option to let somebody else dig up the most economical options for their research needs. The NeuroVids app, despite lacking high-tech or especially striking graphics, still achieves its aim of providing an informative science educational tool to middle school and high school audiences. As you might be able to guess from its name, the NeuroVids app uses animations to illustrate basic concepts in neuroscience, specifically with regards to basic neuron anatomy and synaptic transmission. 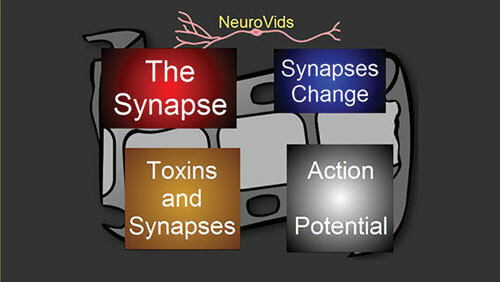 The animated sequences are organized into four topics entitled, the synapse, synapses change, toxins and synapses, and action potential. While some of the material is perhaps oversimplified, even for its younger audience (for example, “When my dendrites taste the neurotransmitter, new electrical signals form in them”), the app does go on to introduce more advanced topics like concentration gradients and excitatory post synaptic potentials. Seasoned researchers probably won’t have the patience to sit through the animations, but the app could be a great tool for classroom visits or outreach events. What do kudzu, white poplar, and the Asian longhorned beetle have in common? They are all invasive species in one location or another, and as you may be aware, invasive species have a nasty habit of wreaking havoc on the ecosystems in which they are introduced. The What’s Invasive! app allows regular tablet- or phone-carrying people to help professionals track the presence of invasive species in a number of national parks within the U.S. (as well as in a few non-U.S. locations, too). 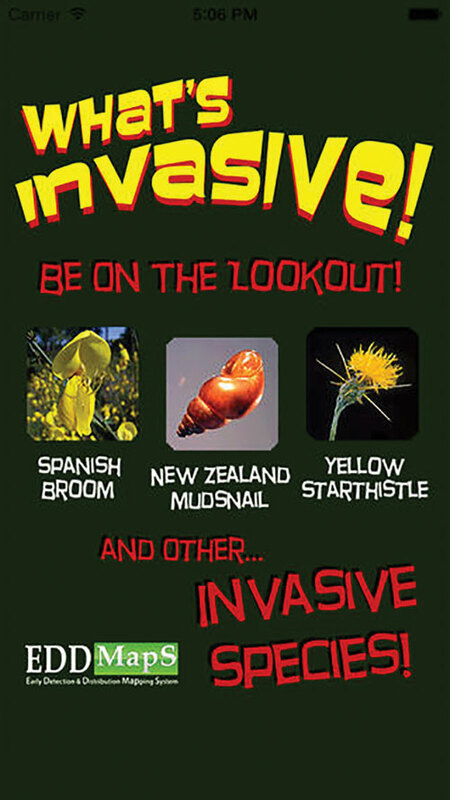 App users can download the invasive species information for a given location, with the locations being displayed on the homepage according to their proximity to the user. From there, users can submit reports (complete with photos) of invasive species that they encounter, using the app’s photos as species identification aides. Users can add their own notes to the report, as well as specify the approximate size of the infested area and the infestation density. 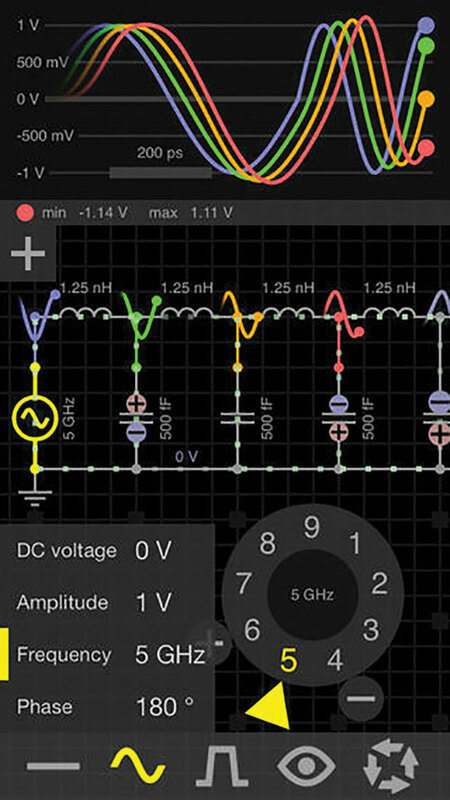 Designed to teach the basics (and not-so-basics) of electronics and circuits, the EveryCircuit app presents app users with elegant graphics and animations of circuits in actions. Users can build their own circuits or modify the example circuits included in the app by adding or subtracting circuit elements such as resistors or capacitors, all the while observing the effects these changes have on voltage or current traces. 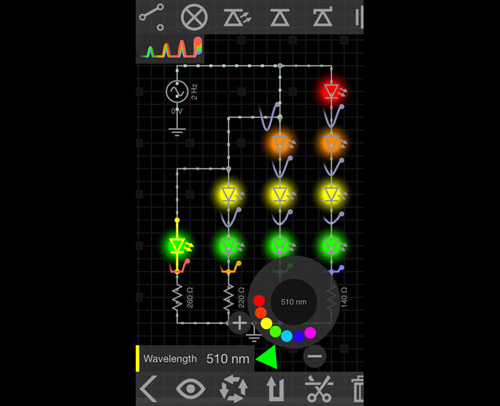 While beautifully presented, the app suffers from a lack of tutorials, including even a basic description or key explaining which circuit element is denoted by a given symbol. This makes it somewhat inaccessible for people who are really new to electronics. The app also somewhat aggressively pushes users to register for an account, which comes with a number of additional perks like cloud storage and synchronization of circuits across devices, but also an annual subscription fee of $10. Touting calculators for both novice chromatographers and more experienced users, the Chromatography Calculator app from Tosoh Bioscience provides a number of easy-to-use—yes, you guessed it—calculators. 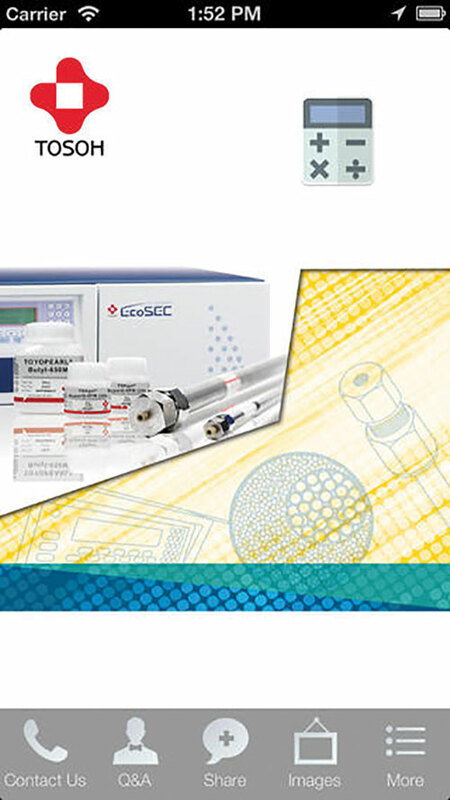 Some of the calculations are simple—such as calculating the volume of a chromatography column given its length and radius—while other calculations (such as for mobile phase porosity and theoretical changes in pressure after changing particle size) require more brainpower than a simple recollection of high school geometry formulas. The app includes 14 calculators in total, as well as unit conversion tools for pressure, volume, and length. While useful, the calculators are embedded within an app that is largely commercial in nature; thus, users must navigate to the calculator tab (i.e., it is not prominently displayed on the home screen). Want more Best Science Apps? Click here! Also, to suggest an app for Best Science Apps, please send a link to Taralyn Tan (ttan@GENengnews.com).